Writing is not a one-size-fits-all process. Some prefer to sit in front of a keyboard and immediately start typing, while others spend time laying out their thoughts before writing a single word. Yet all writers encounter the same problem: how to organize all their notes in one place, and distill them into coherent pieces of writing. To address the challenges of long-form writing, Scrivener 2 was born. This premium word processing and project organization tool is now available for as low as $20 (50% off) in the TechSpot Store. 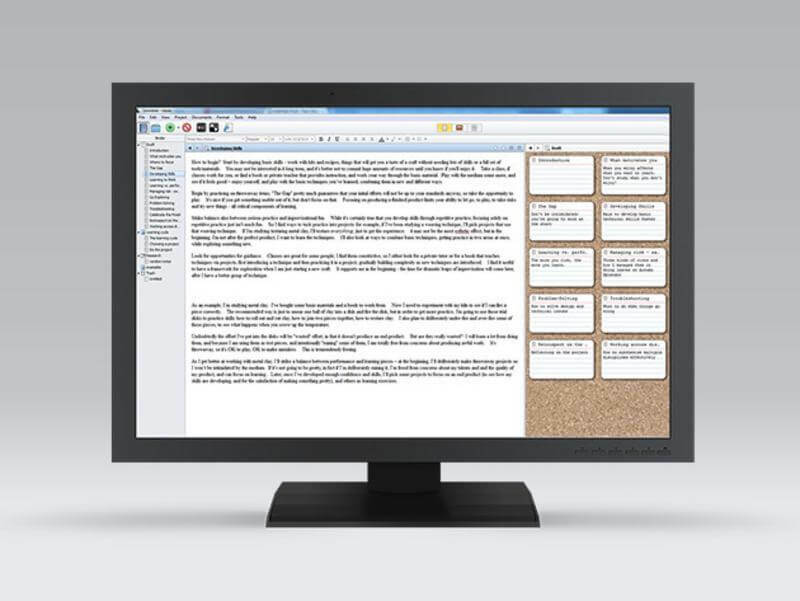 Scrivener 2 offers features such as spell checking, line justifications, and footnoting. However, where Scrivener truly shines is in its customization capabilities, giving you the freedom to craft a specialized project workflow that best suits you. Writers writing screenplays, technical instructions, and the like will find easy formatting options in Scrivener’s lineup of features. But this program's power is most evident in terms of its organizational capabilities. You can jot notes, conduct research and assemble text, graphics and other elements of your finished work into a manageable storyboard format, allowing you to mix, match and reorganize elements seamlessly as you go. Track revisions, create automatic document back-ups, and even export your finished work into other programs, like Final Draft. Right now, you can pick up Scrivener 2 for Windows ($20) or Mac OS X ($22.50), half off its regular price.